Sound Transit is replacing the wooden, single-track railroad trestle east of Freighthouse Square with a new concrete, double-track bridge. Nearly 100,000 drivers use this portion of southbound I-5 everyday. Engineers estimate a large number of those vehicles need to find alternate routes. 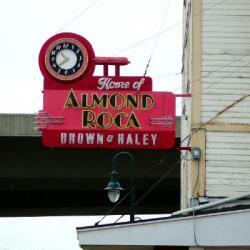 Many of Tacoma's attractions are in easy reach. See a concert, rent a kayak or shop till you drop. The Dome District has it all. With so many options, it's easy to get to and around the Dome District. You'll find easy access by car, bus, train, or light rail. Convenient to downtown, near freeways, waterfront and regional transit – Tacoma's Dome District is a vibrant urban community with many transit options. Come and enjoy this walkable and bike-friendly neighborhood. April 17th Sound Transit Open House on route Alts into Dome District VOTE!